Did you ever wish you had a new and simple way to document and display your every day life? Close To My Heart has made that wish come true for you with our new MY CRUSH your story, your time, your way BOOK. There are 2 styles. Modville and Bluebird. You are seeing Bluebird pictured below. 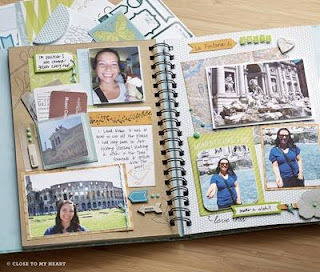 You can order Assortments and stamps to coordinate with them which makes making the books a breeze. On August 1st go to my website...simmie.ctmh.com to view our new Fall/Winter Idea Book and place your order.